Hard to believe that race day is only 3 days away. It has been awhile since my last post so I thought I would catch you up on how my training has been going! The peak of my training happened the weekend of Feb 25th. 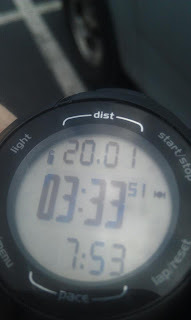 I ran 20 miles! I feel as though I am still recovering from that run, it was certainly tough! While it was tough, it felt great! I even sprinted the 20th mile. I always learn a lot about myself on long runs, but this one taught me a lot about myself and a lot about distance running. For example, it was a COLD, 30 degree day and for the first 3 miles, it was snowing and extremely windy. I had layered up, but still felt pretty cold for most of my run. Well, being cold doesn't necessarily mean that your body is not sweating and needing hydration. When I completed all 20 miles, I went back to my car and you would have thought I jumped in a pool and swam around in my clothes. I was dripping with sweat! Gross..I know. I had 3 layers of clothes on and each layer could have been rung out and still be wet. Even my "water proof" jacket was heavy with sweat. Ok..I think you get the picture, but I was so surprised at how much I was sweating yet I was still so cold. Unfortunately, since I was so cold, I didn't feel the need to drink my cold beverages as much as I should have and felt the effects of dehydration soon after my run. While I did my best to finish off a Gatorade, I was feeling sick all weekend and couldn't stomach much of anything. So, lesson learned! Drink regularly! Even if you are not thirsty! So finishing 20 miles was an amazing accomplishment for me and I am still talking about it weeks later! But the real challenge lies in the run that will take place this Saturday! Marathon day! Well...believe it or not, no real plan in place for race day prep. After the 20 mile run, I had some aches and pains that required me to take it easy for a few days but after that, I have done a few interval run workouts, yoga sessions and Crossfit WODs. I am trying to keep the workouts light and do just enough to get my body moving and stretched. I am also trying really hard to get 8 hours of sleep in a night. I could certainly do more but 8 hours is the goal! 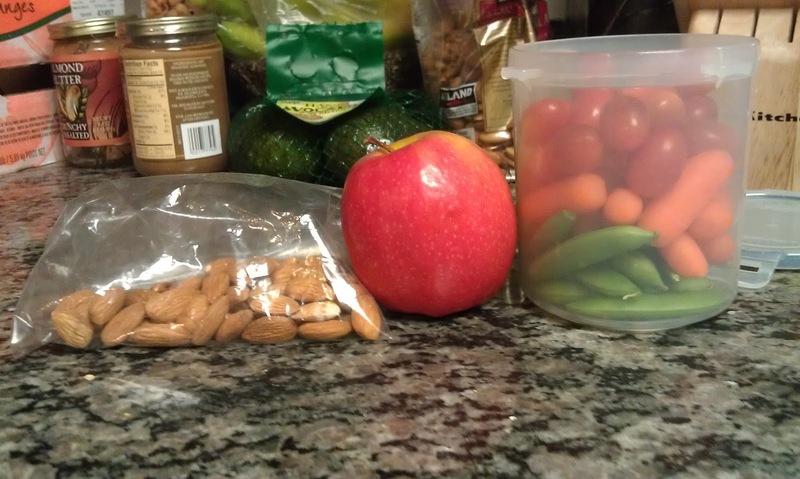 Food is something else I have been focusing on. I might have finished off a small pint of ice cream last weekend, but I enjoyed every bite of it and I am sure my body is storing it away for mile 24! 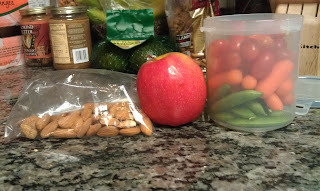 :) I have been focusing on eating clean and snacking on nutritious goodies throughout the day. 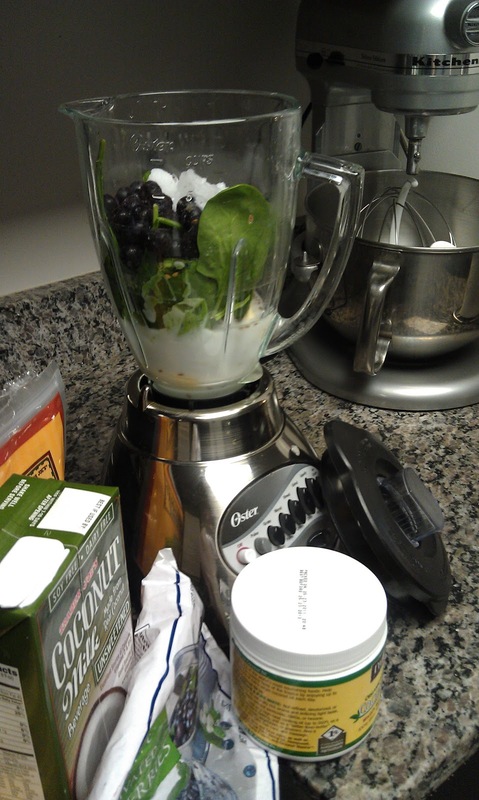 The daily green smoothie. 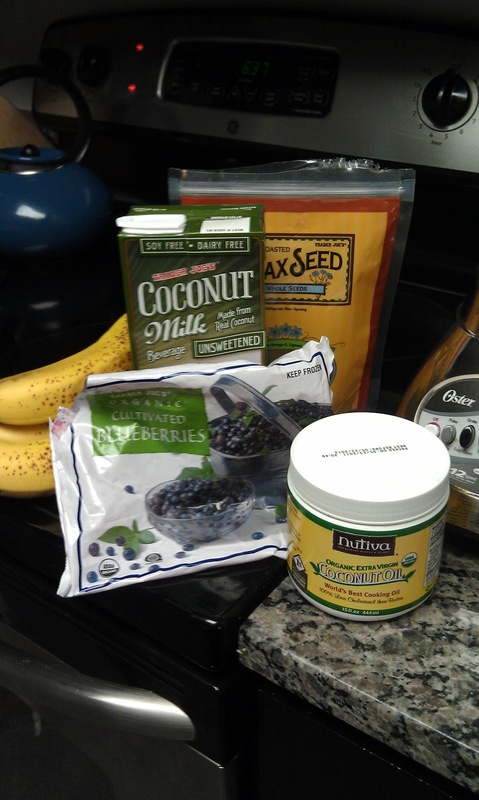 This one had a banana, spinach, frozen blueberries, coconut milk, a tablespoon of coconut oil and tablespoon of flax seed. 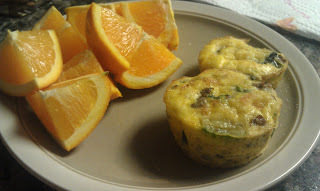 yummm..look at all those healthy fats! And here is what race day fuel will be! 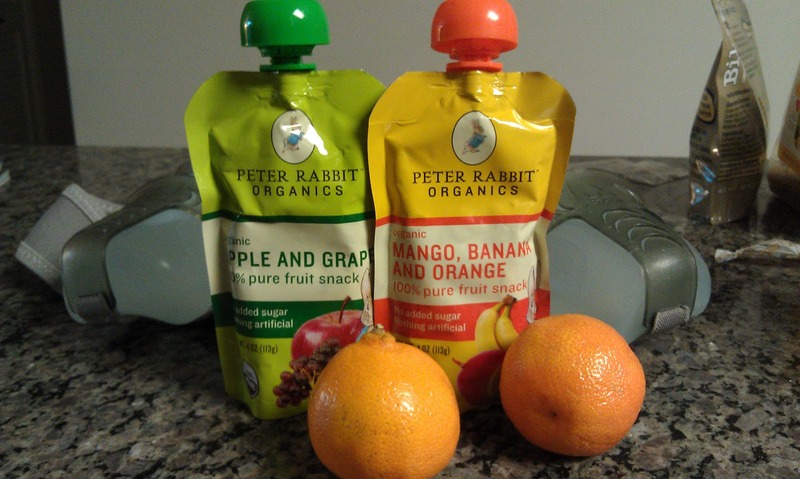 Real fruit, water, Gatorade, and fruit puree. I prefer these over gels. They go down easier and don't have lots of processed ingredients. And they just taste better! So activity, rest, and food cover the major elements of race day preparation, but of the many pieces of advice I receive from those that have been there and done that has been that most of this race will be a mental game. My training has gone well and my body is ready to do what I will it to do, but it is my mind that may be putting up a fight. Come mile 20, when the bands are not playing and the crowds thin out, my brain is going to tell me I have done enough and should probably just call it a day and hop on the finish line shuttle. (yes, there will be a finish line shuttle for those that want to quit mid-race) So what do you do when all the negativity enters your thinking and you start to rationalize quitting being the best option? Envision the finish line. Close your eyes and see it coming closer with each step. Imagine someone you have lost, some that is close to you or one of the cancer patients you met during the long runs is running besides you. They are running the last few miles with you and want you to finish. Please comment and leave me other suggestions! I will need them! The weather on Saturday is suppose to be a high of 72 degrees! Perfect running weather. For those of you in DC, I will be wearing a purple TNT short sleeve shirt and bright green calve sleeves. Yell really loud if you see me! For those of you not in DC, I plan to update my facebook status when I stop for water breaks, so check out facebook to see where I am during the morning. With this being my first marathon, I don't have an expected finish time, I just plan to go out, have a great time and cross the finish line. There will be live bands at all the mile markers and lots of people on the street to cheer on the runners! I am looking forward to a really fun experience! Ready or not...the shoe laces will be tied and I will be at the starting line come Saturday.